This FG is the result of over 40 years in the field as a professional river guide and 25 years as a professional rescue instructor, and networking with an abundance of river professionals from around the world ! Our Advisory Committee alone has a combined experience of over 250 years. With this knowledge, Abigail and I have finally created a 4.5 ounce waterproof field guide that is packed full of 117 pages of information that includes pre-planning, safe down river travel, risk assessment models, swiftwater rescue techniques and strategies, rope rescue, first aid and rescue kit lists, and information on pack rafting, canoes, traveling with kids, and so much more! 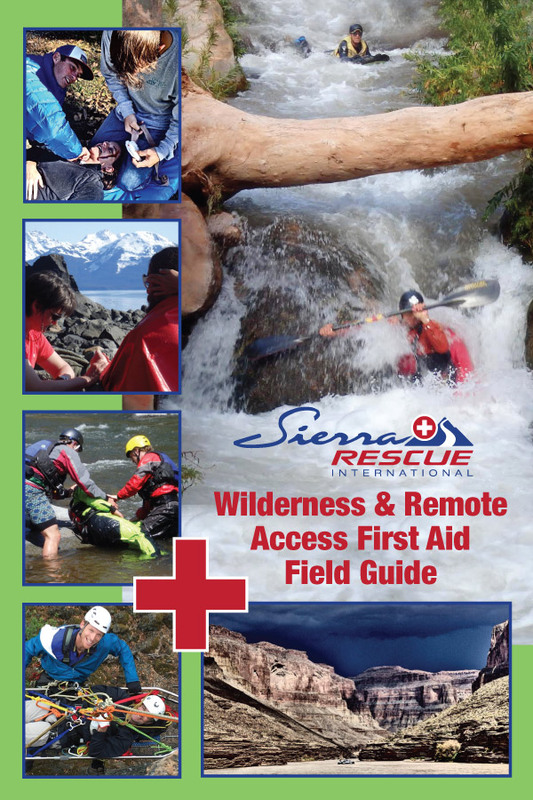 This field guide includes a review of rescue options, and simple strategies for choosing the safest, simplest and quickest option for rescue. It includes a variety of tools for the rescue and safe river travel toolbox. Thank you for your interest in this field guide! This FG designed to give you the tools to pre-plan, evaluate, move down river and execute rescues in a safe, efficient and well thought out manner. While the best rescue is always the one that does not happen, we certainly need to be prepared if something does go wrong. During a potential rescue, hopefully by understanding what our rescue options are, it will make it easier to choose a safe, fast and appropriate solution. Recognizing potential hazards will also make us better at avoiding compromising situations in the first place. The FG is divided into five color coded sections with a detailed reference on the back cover for easy access. 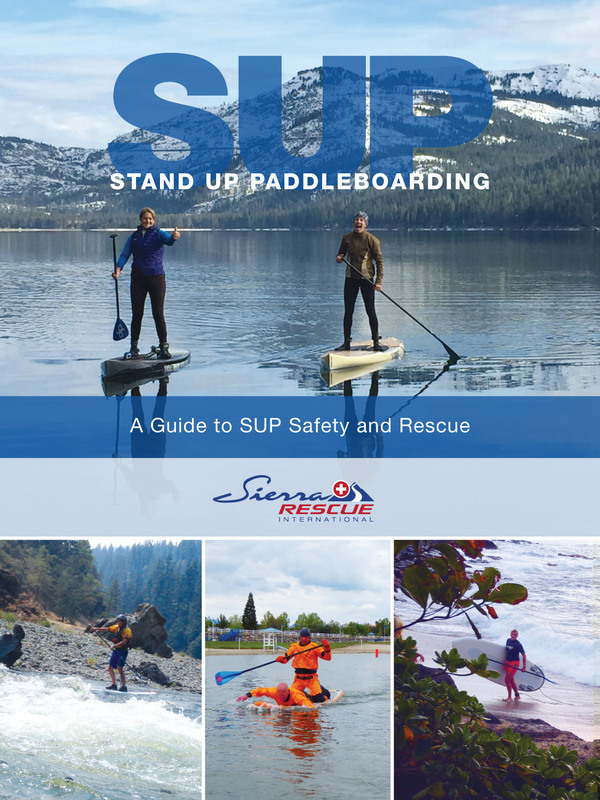 Risk assessment, safe group paddling principles, high water considerations, etc. Review the steps necessary to initiate and execute a rescue in a safe, thorough and simple manner. 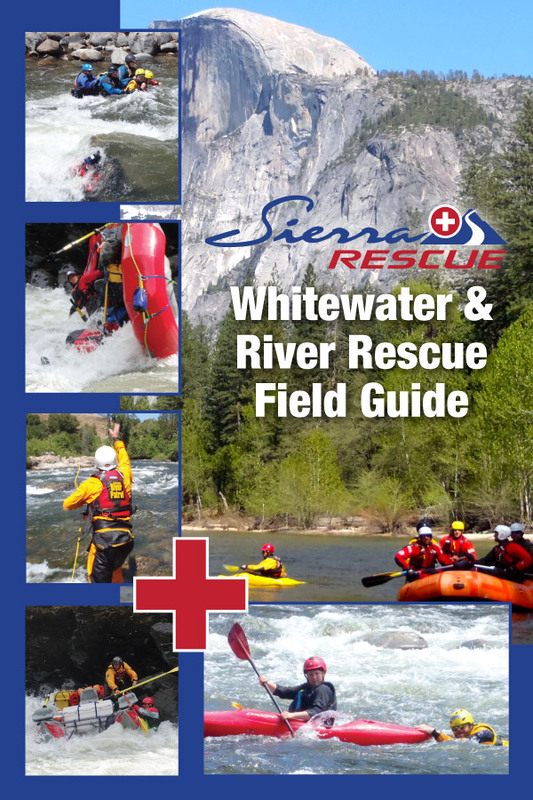 Review whitewater rescue and technical river rescue skills such as swimming, entrapment rescue options, live bait rescue, etc. Review relevant technical rope rescue techniques such as vector pulls, anchors, knots, mechanical advantage, forces of angles, etc. 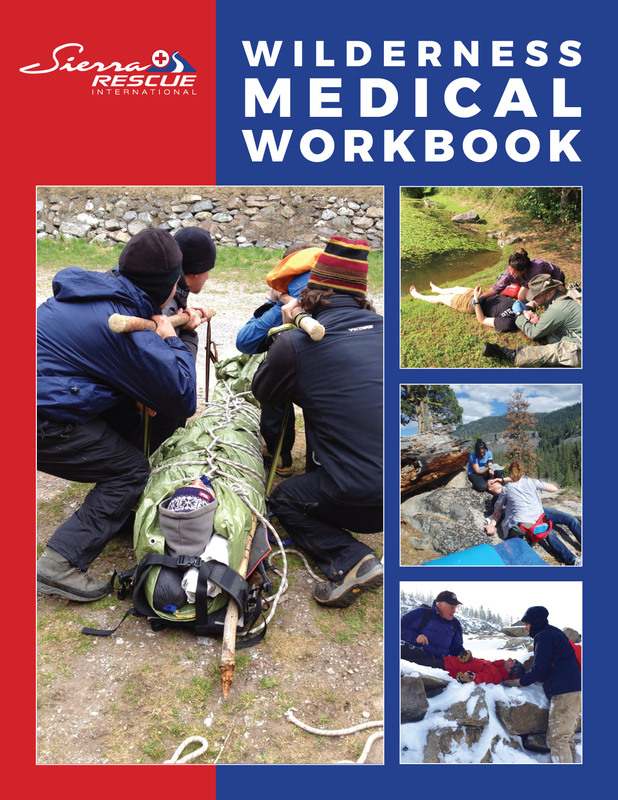 Includes first aid kit content recommendations, safety talks, rescue gear lists,information on canoes, waders, SUPS, pack rafting etc. This field guide is packed full of 117 pages of relevant information, is waterproof, and weighs only 4.5 ounces.